The day - Sunday, September 21, 2003 - started with the wind blowing a gale. Fortunately, with the game being played at Optus Oval, this would offer the players some protection. Earlier in the day, the reserves had set the ball rolling when they thrashed the previously unbeaten Northern Bullants. If the seniors had been watching, they would have seen what was required to take the coveted TXU-VFL Cup. The Seagulls entered the game as favourites after some convincing performances in the weeks leading up to `The Big Dance'. In front of more than 10,000 fans, Brad Gotch and the coaching staff could only hope that all the hard work through the year would pay dividends. With a two to three goal breeze blowing towards the The Legends Stand end, Co-captains Troy West and Brad Lloyd won the toss and chose to kick with the breeze at their backs. Williamstown started the game with Craig Smoker, Luke Shackleton, Nick Maxwell and Mark Richardson on the bench. VFL debutante Andrew Williams started on the wing, Tex Walker was at full back with Westy moving up the ground to CHB. Mark McGough was in the centre, along with Guy Richards, Adrian Fletcher and Brad Lloyd. 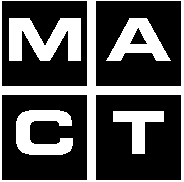 Steve McKee was at CHF, with Josh Mahoney and Jarrod Molloy outside, and Dane Swan, Marcus Baldwin and Cameron Cloke on the last attacking line. Rupert Betheras was opposite Williams, with Glenn Freeborn and Sam Crange at half back, whilst youngsters David King and Bo Nixon were Tex's assistants deep in defence. The first bounce was won by Box Hill, but a strong tackle by McGough was an indication of things to come. 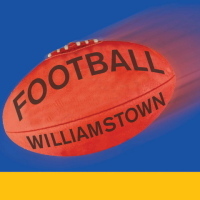 A low intensity start saw Williamstown gradually move the ball along the wing. Fletch got a possession, and his kick bounced it's way to end up in the hands of Marcus Baldwin, who snapped a goal from 40 metres. 2 minutes in and Williamstown had the first impact on the scoreboard. Box Hill had been known to be slow starters, and when Josh Mahoney intercepted a Box Hill chip kick in the centre, another goal went begging when Dane Swan missed what he would normally kick. Williamstown's defensive set-up was forcing Box Hill to go wide, and when they did enter their 50, Lloyd, Cranage, West and King were there to clean up and repel. This pressured Box Hill into a kick-and-hope scenario, and what chances they had were wasted. One of these wasted chances saw Glenn Freeborn take the kick-in, and his kick found an unmarked Lloyd at half back. Lloyd kicked out to Betheras on the wing, who then handpassed to a running Sam Crange. Sam's pass found Fletch, who then, from a sitting position, handpassed on to a rampaging David King, who had run down from defence. Kingy kicked from 50, but the wind pushed the ball wide. Kingy had been given the task on the dangerous Stephen Kenna, and was winning this battle so far. Williamstown were putting the Box Hill defence under enormous pressure, which resulted in a turnover that saw the ball in Molloy's hands. Molly barged his way through a would-be tackle, but his kick was inaccurate. Williamstown were starting to exert pressure all over the ground, but not yet on the scoreboard. At the 11 minute mark, Swanny found himself free after a clever tap on by Cameron Cloke, and his kick went to Baldwin in the goalsquare. However, a holding free against Box Hill saw Baldy kick his second goal from point blank range. Molloy again got possession after a Box Hill turnover, and his kick allowed Sam Cranage to run on to the ball, where he then handpassed to Mahoney, who handpassed to Lloyd, another handpass found Williams who went back to Cranage, who goaled. Slick handballs, sure hands and Box Hill were in trouble early. The ball was again in the Williamstown half of the ground after the restart, but couldn't capitalise. Box Hill were able to gain possession and switched play to the outer side. A couple of players had found some space and moved the ball forward, where Kingy was tackled high to thwart another attacking effort. The ball travelled the length of the field, but Box Hill regained possession, and their next two attempts on goal went unrewarded - one went out of bounds from a set shot whilst the other went out on the full from a snap. Williamstown again worked the ball out of defence and a strong mark by McKee saw a handpass dished out to a rampaging Sam Cranage running through the centre. Sam kicked from 50, but again the wind took hold and drifted the ball through for a minor score. 20 minutes in and Williamstown were 21 points in front. The Seagulls were starting to show their superior strength by winning the body-on-body duels, and when the tackling machine known as Luke Shackleton entered the fray, Williamstown seemed to lift the intensity. A Shack tackle saw the ball spill loose to Lloyd, who handpassed to Bo Nixon. Nixon's kick found Fletch, who then went wide and found an unattended Cranage. Cranage had a bounce along the wing, then kicked to the forward line where Baldwin nudged his opponent under the flight of the ball and, whilst falling backwards, took a strong mark 20 metres out. Baldy's third saw the lead blow out to 27 points at the 22 minute mark. The resultant restart saw a free go to Williamstown in the centre, and when Lloyd's kick was dropped by Cloke at CHF, Mahoney swooped and kicked his usual class goal. 27 points was now 33, and Box Hill looked rattled. Williamstown were now starting to win the ball in the centre, and were soon launching another forward attack. Some scrambly play soon saw Lloyd gather another possession, and when he spotted a leading Mark Richardson, Richo didn't let him down, 25 metres out and on the slightest of angles. This is usually bread-and-butter stuff for Richo, but this time he made a meal of it when he hooked his kick wide. Box Hill then botched the kick-in, and when penalised for a deliberate out of bounds, Nick Maxwell speared a pass to a leading Mahoney, who took a diving chest mark 30 metres out. Josh usually kicks these in his sleep, and this time was no exception. Williamstown were now 40 points clear as the quarter wound down. Box Hill managed to get the ball going forward, and a mark and goal to an unmarked Bayford saw Box Hill reduce the quarter time difference to 34 points. Williamstown immediately go forward at the start of the second quarter, but when Molloy kicks the ball out of a pack, he is pinged for kicking in danger, giving Box Hill their first free of the day. A second Box Hill free soon after saw the ball deep in Box Hill's forward zone, but the experience of West and Freeborn eventually sees the ball rushed through for a behind. Kingy then kicks down the middle of the ground, finding Lloyd at CHB, who kicks out to Fletch on the wing. Called to play on, Fletch then kicks to a one-on-one marking contest where Baldy misjudges the flight of the ball. Swanny swoops on the loose ball and fires a handpass out to Freeborn, who is on the boundary. Freeborn kicks inboard to the goalsquare where Molloy bursts through the pack and takes a clean grab on the line. Five metres out, and Molloy kicks his first. Another centre clearance win sees Fletch and Rupe combine to get the ball to Lloyd, who finds a leading Cloke. Cam then found Richards on his own at HF, who then lobs a pass to Swan. Swanny took the grab under a bit of pressure, but played on to kick his first from three metres out. The lead has now blown out to 45 points and the second quarter is only five minutes old. Box Hill are shellshocked, but their second goal of the game came out of nowhere, and the difference is now 39. This seemed to kick start Box Hill, and they lifted in intensity. Williamstown were now getting wasteful as the Box Hill defence tightened up. The ball travelled up and down the ground several time before Nixon found some space on the wing. Nixon kicked wide to HF, where Mahoney won possession at ground level. Josh turned infield, kicking to CHF, where the bouncing ball saw players converge from all directions. Then came Molloy. Jarrod ran through two Box Hill players, jarring the ball loose and end up in the hands of Brad Lloyd. Lloyd handpassed out to a waiting Williams, who kicked truly from 25 metres out. It was at this stage of the game that Molloy came off with what appeared to be a lower leg injury, however, he did return later. Willo had a chance to kick his second in less than a minute, but missed, but the heat was now starting to affect all the players, and Williamstown's 46 point lead was going to be difficult for Box Hill to peg back. Box Hill then started to play a short kick, retain possession style which would see them have eight or nine possessions just to get it to their HF line. Williamstown would then force a turnover, and with one long kick see the Box Hill defence back under pressure. When Box Hill did go long, Freeborn and West were able to get an easy possession and drive it forward again. This was most evident when McKee, now at CHB, received a handball from Willo and McKee's long kick found the chest of Baldwin, who missed what would have been his fourth goal. David King, who had very few possessions this quarter, was still doing his job on keeping the dangerous Stephen Kenna quiet, and without his influence, Box Hill were being robbed of goal kicking options. The siren sounded with Williamstown holding a 47-point advantage at the main break. The second half commenced with a change of wind direction, and Box Hill came out far more committed than the first half. Kenna kicked an early goal and this seemed to give his teammates the spark they had been lacking. Williamstown were able to get a reply through McGough, but very little scoring was managed by either side for the next 5 - 6 minutes. The loss of Josh Mahoney, who was knocked out by a crude head-high tackle, at the eight minute mark seemed to upset the on-field balance. Box Hill increased their urgency and booted another goal, but Williamstown now seemed to be under pressure in defence. 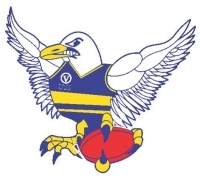 Inaccuracy prevented Box Hill making any headway into Williamstown's lead, and at the 14 minute mark, Molloy crumbed a ruck contest inside his own forward 50, and beating two opponents, kicked his second. Two goals to each team half way through the quarter. The Box Hill runners were now finding space and started to mount a comeback of sorts. Four unanswered Box Hill goals, the last three in quick succession, and the Box Hill players sensed they were still a chance. Shack had also been taken out of the game, due to a clash of heads, and Williamstown were now on the back foot as Box Hill reduced the deficit to 21 points. However, Westy wasn't going to be denied a Grand Final victory when he got a kick out on HB, which somehow ended up in the hands of Fletch, and with a beautifully weighted kick, found a leading Baldwin, who put the Gulls lead back to 27 points at the 28 minute mark. This buffer remained the difference at the last change. In the huddle, Brad Gotch stressed to his players to stick to the game plan, and that sheer guts is what was going to win this game. Williamstown started the last quarter knowing that Mahoney's day was over and Shack's return was doubtful. Williamstown were now under pressure. Box Hill now gave themselves a chance, and this was evident in the intensity of the Box Hill tackling. Williamstown continued to pressure the Box Hill defence but couldn't convert, but when Box Hill threatened, they gave up possession with a turnover. The ball travelled up and down the ground for several minutes when Willo had a chance to seal victory, but kicked a point. Williamstown had another chance when the resultant kick-in went out on the full, but the Box Hill defence held firm and were able to get clear. Six minutes had elapsed and neither side had been able to kick a goal. This was to Williamstown's advantage as it was six minutes closer to victory. Shack was back on the ground by the 10 minute mark and was straight back in to the fray. The players were getting tired. The legs were heavy and the breathing was hard. Both teams continued to waste opportunities as the quarter reached the half way mark. West, Lloyd and Fletcher were still dominant, but the Box Hill defence were proving to be impassable. Molloy was still making his presence felt he laid a strong tackle on the wing which resulted in a free kick. His kick found Rupe at 50, but Rupe's kick fell short and was rushed through. Still a goal hadn't been scored and time was running out. Tempers were unleashed at the 18 minute mark when Nick Maxwell was cleaned up in the back pocket, and players came in from everywhere. However, Maxie was able to get up and take his 50 metre penalty. 21 minutes in, and still no goals. Each team was going point-for-point, and the contest was as good as over. Harford was able to get the deficit down to 23 points at the 26 minute mark, but with very little time left, the Williamstown faithful were starting to celebrate. As the 29 minute mark ticked over, Maxwell got a free on HF, and with no-one on the mark, he played on and kicked long to a crowded goalsquare. Craig Smoker pounced on the loose ball and goaled with the last kick of the day. Box Hill got possession in the centre as the final siren sounded, giving Williamstown their thirteenth premiership by a margin of 29 points. Williamstown: Baldwin 4, Mahoney 2, Molloy 2, Cranage, Swan, Williams, McGough, Smoker. Box Hill Hawks: Bayford 2, Kenna 2, Ball, Campbell, Harford, Johnson, Marguccio. Williamstown: Fletcher, Lloyd, Freeborn, Richards, Swan, West. Box Hill Hawks: Ball, Hazell, Greene, Neagle, Bayford, Kenna. 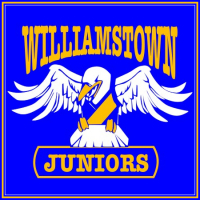 Williamstown: Ramsay 3, Rippon 3, Hill 2, Pearce 2, Runnalls 2, Crow, Uhi, Mullins, Cape, Jarrad, Taylor, Knight, Ralph. Northern Bullants: Gutterson 4, Clarke 2, Grainger 2, Walsh, Saad, Favrin, H. Pekes. Williamstown: Kelly, McArdle, Gowers, Hill, Theodore. Northern Bullants: Summers, Hooper, Gutterson, Stevenson, Jansz.